Parineeti Chopra and Ayushmann Khurrana interacted with the media at the pre-release press conference of their upcoming film, Meri Pyaari Bindu. The cast unveiled five different chapters from the film that take us down the memory lane as the lead characters relate their lives to several songs from the golden era sung by Kishore Kumar, Lata Mangeshkar amongst many more. 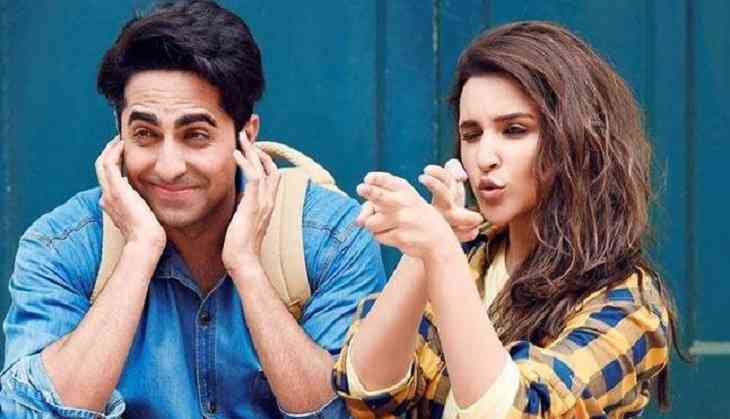 Parineeti Chopra believes that every human being will find a certain amount of relatability with the lead characters of the film and they would step out of the theatre with a smile on the face. “I think the biggest take away for us as actor from the film is the nostalgic feeling. I am not saying this just because of the music as there is a lot more. You will relate to the instances happening in the film be it love story or any other kind of relation you had. You will find your life in this film and if that happens, that would be a win for us,” said Parineeti. Directed by Akshay Roy, Meri Pyaari Bindu is slated to release on May 12.